Andrus & The Mariners is an American Folk band from Whitewater, Wisconsin, formed by Matt Andrus in the spring of 2013. The band currently consists of Matt Andrus, Zaq Daniels, Joe Reeves, Quinn Savignac, and Jesse Remirez. Perfecting their sound in Matt's living room for their first year of existence, The Mariners have created a unique sound driven by strong instrumentation and poetic lyrics. To learn more about the band, check out their Facebook page here. 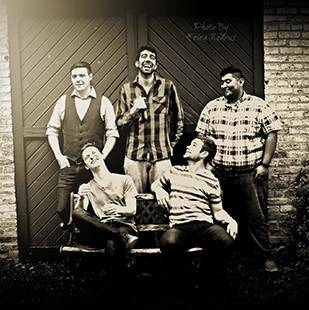 Be sure to catch them live on Friday, May 13th from 6-9pm at 1919 Kitchen & Tap!